Provides pre-generated lung segmentation for lung volume measurements with volume histogram output. When image noise is a concern, dynamic image filtering with configurable filtering strengths can be engaged to improve reading efficiency. The AquariusAPS sphericity index is designed to help physicians identify and manage sphere-like structures. Validated findings can be stored for comparison of multiple time points. 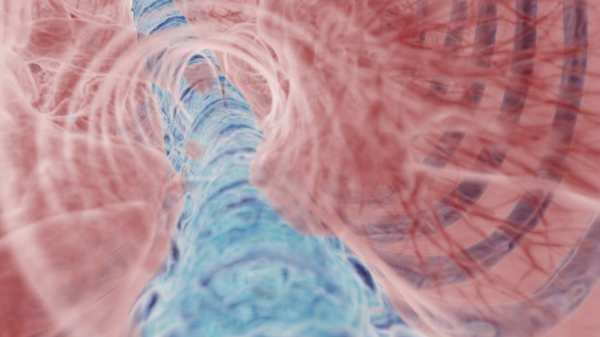 Virtual flythrough guides you to visualize the airway tree to evaluate patients with a variety of airway pathologies. TeraRecon iNtuition Solution Clinical Packages include iNtuition and AquariusAPS.